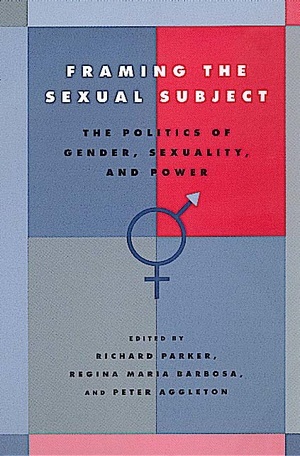 This collection brings together the work of writers from a range of disciplines and cultural traditions to explore the social and political dimensions of sexuality and sexual experience. The contributors reconfigure existing notions of gender and sexuality, linking them to deeper understandings of power, resistance, and emancipation around the globe. 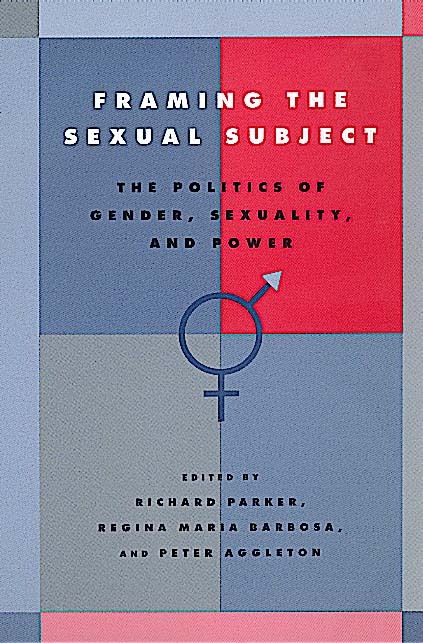 They map areas that are currently at the cutting edge of social science writing on sexuality, as well as the complex interface between theory and practice. Framing the Sexual Subject highlights the extent to which populations and communities that once were the object of scientific scrutiny have increasingly demanded the right to speak on their own behalf, as subjects of their own sexualities and agents of their own sexual histories. Richard Parker is Professor in the Institute of Social Medicine at the State University of Rio de Janeiro and the Sociomedical Sciences Division of the Joseph L. Mailman School of Public Health at Columbia University, as well as Director of the Brazilian Interdisciplinary AIDS Association (ABIA). Regina Maria Barbosa is Coordinator of Research on Women's Health at the Institute of Health and a Research Scientist at the Center for Population Studies at the University of Campinas in São Paulo. Peter Aggleton is Professor at the Institute of Education at the University of London.